Celebrations have been quiet ever since my grandmother passed away. I read somewhere that matriarchs/patriarchs of a family act like glue, holding the fam together. Once they’re gone, it’s hard to get everyone together in the same place. Some cousins have migrated, while others are travelling with their own nuclear fams over the festive season. 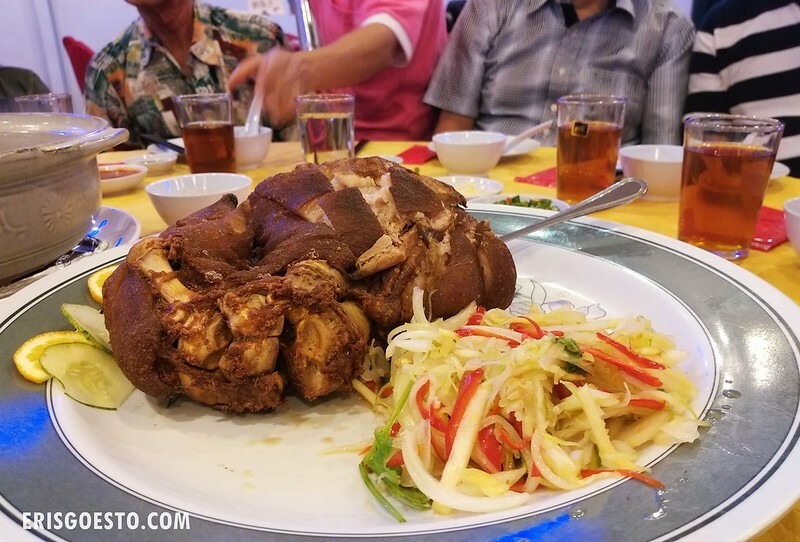 Traditions like cooking for reunion dinner night or praying to ancestors have been simplified, if not replaced. Sometimes I envy my friends who are close to their extended families, because my cousins and I do not share the same bonds. Maybe it’s coz we only see each other once a year. I’m sure that after my parents’ generation, these bonds might be broken for good. 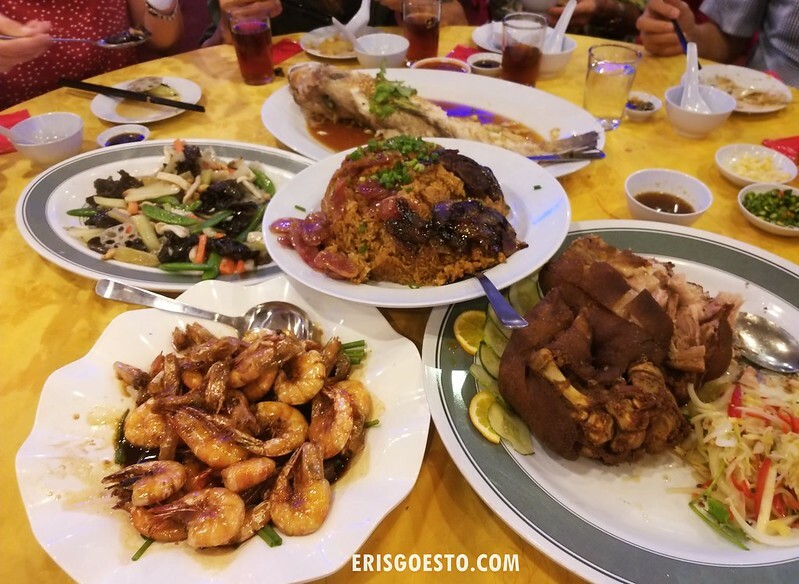 Enough depressing talk though : here’s what we had for CNY reunion dinner! 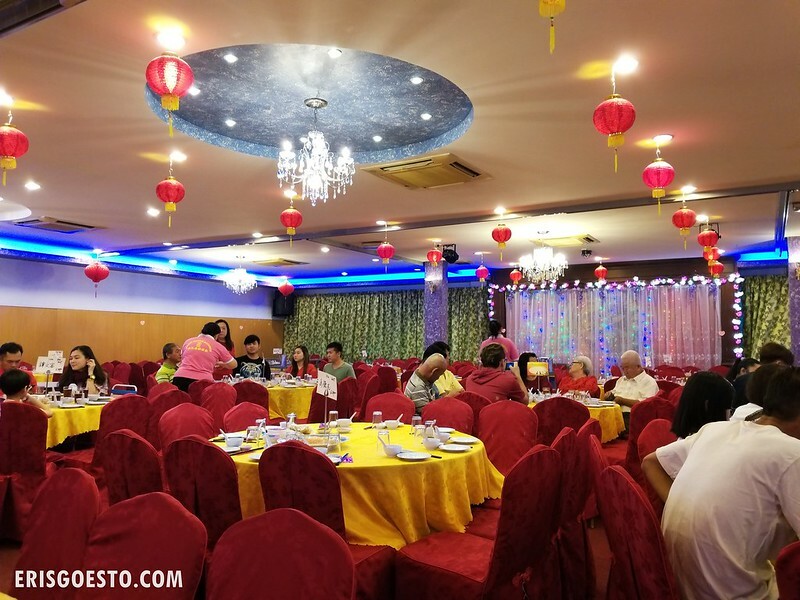 Not wanting my aunt (who’s 70 now) to go through the hassle of cooking, we booked dinner at Delight Seafood Restaurant in Kampung Jawa, Ipoh. More and more families are doing away with cooking at home in favour of convenience. Restaurants do brisk business during this period, so much so that you have to book a ‘slot’ ie the resto divides diners into two sessions. Ours was at 6.30PM and we had to be out by 8PM to cater to the next round of customers. To start things off – the customary yee sang, a raw fish salad that is tossed and mixed while diners utter good wishes for the new year. 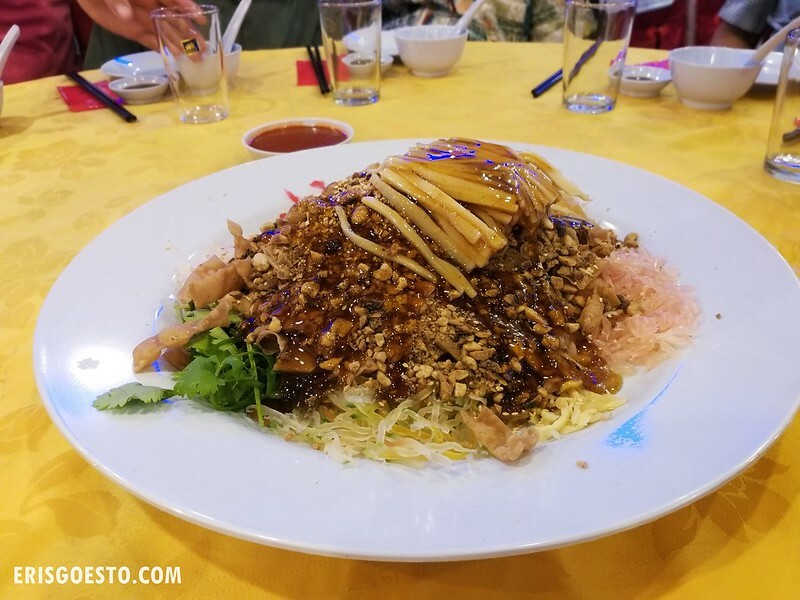 The version here had jellyfish, pomelo, fish cake, crunchy condiments, peanuts and onions. Presentation was sloppy but the taste was pretty good. Fun fact: Yeesang has roots in Malaysia/Singapore, not from China. Traditionally, Chinese banquet meals are served plate by plate, but since the resto was rushing for time, they decided to serve everything at once. Not a good strategy since there was barely any space left on the table. We were resigned to eating uncomfortably, bowls cramped to the left and right. (Clockwise from top) Steamed fish, pork knuckle, soy sauce shrimp, stir fried vegetables and (centre) glutinous rice with waxed meats. The experience could have been better imo, but then again it’s a very busy period for restos and you can’t expect top notch service.